Dads and cars usually go hand in hand. Growing up, your father was probably the one who made sure the family automobile was running smoothly. 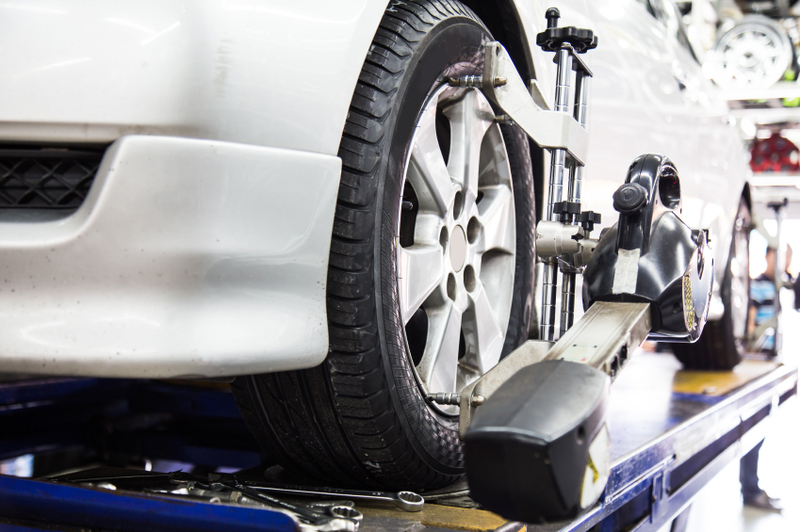 He might have been the one to change the car’s oil and fluids or rotate the tires. Your dad may have even been the one who helped you buy your first vehicle. After you’ve grown up, you may still find yourself calling on your dad to help you keep your car tuned-up. Driving and music go together like peanut butter and chocolate, so fire up your Spotify or Apple Music account and make your father the perfect soundtrack for his morning commute. Whether it’s a set of great country driving songs, a collection of rock and roll car anthems, or something else altogether, make your dad a song sequence that’ll mean something to him. You can even burn him a custom CD to play! You dad is probably always making an effort to keep the family vehicles looking nice. Now’s your chance to return the favor and wash his car for a change! If you really want to go the extra mile, you could also get him a gift card to have some detailing done. Give your dad the chance to drive something really unique, rare, sporty, or fun for the day! Rent him a car that he’s always dreamed of driving but hasn’t had the chance to yet. You can join him for the joyride and share a memorable experience together. Visit a local car show with your dad. Enjoy spending the day with him and admiring some cool cars which you probably don’t get to see every day. Let him share his passion for automobiles with you! Your local Meineke Car Care Center can service your dad’s car for him and take care of anything it needs, including an oil change. 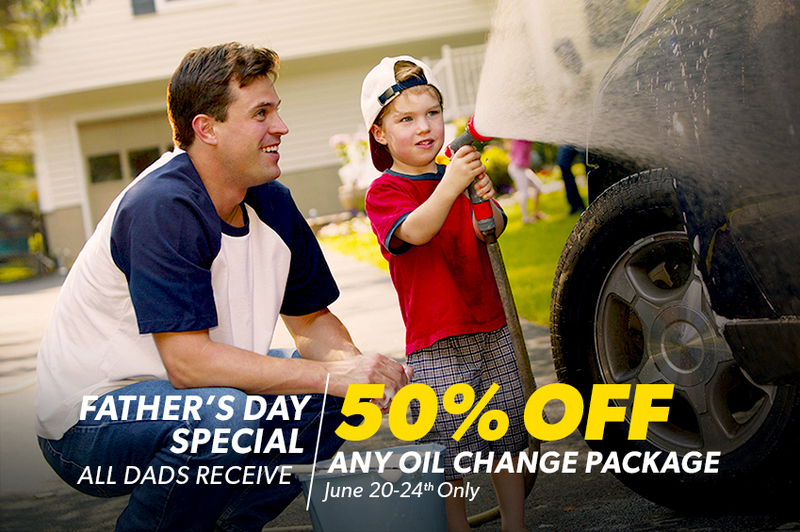 In honor of Father’s Day, all dads will receive 50% off any oil change package from June 20 through June 24. Hopefully, this will make it a little easier for you to do something nice for your father this Father’s Day! Legal disclaimer: Discount applies to regular pricing. No coupon required for redemption. Appointment recommended. Offer valid June 20-24, 2016.Up to 5 quarts of oil and standard oil filter included. Dexos and other OEM oil specifications available at an additional cost. Not valid on conventional or basic oil changes. Synthetic Blend applies to 5W20 and 5W30 viscosities. 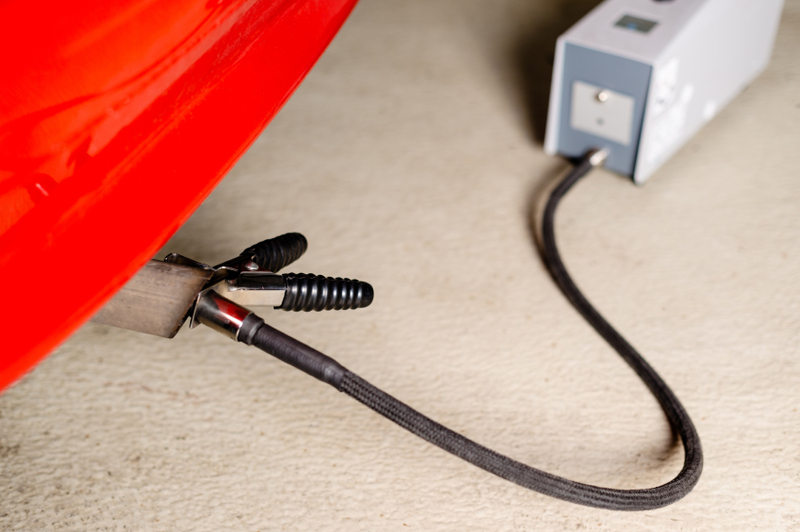 Valid on most cars and light trucks at participating Meineke U.S. locations. Not valid with any other offers, special order parts or warranty work. Taxes and additional disposal and shop supply fees may apply, where permitted. Email address is required for activation of Roadside Assistance Program. Program is valid for 4 months from the date of the oil change service. Program membership information will be sent via provided email address. See center manager for complete details. Offer valid 6/20-6/24/2016.